Canada 150 celebrations are underway across the country, but not everyone is celebrating. 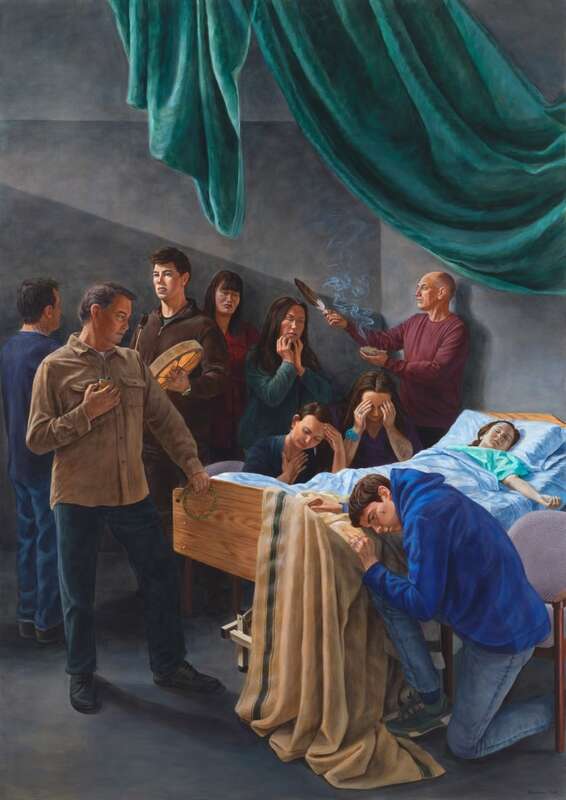 Cree artist Kent Monkman’s new exhibit, Shame and Prejudice: The Story of Resilience, is a sobering look at the treatment of Indigenous people since settlers arrived 150 years ago. Events to commemorate Canada's 150th birthday are underway across the country, but not everyone is celebrating. 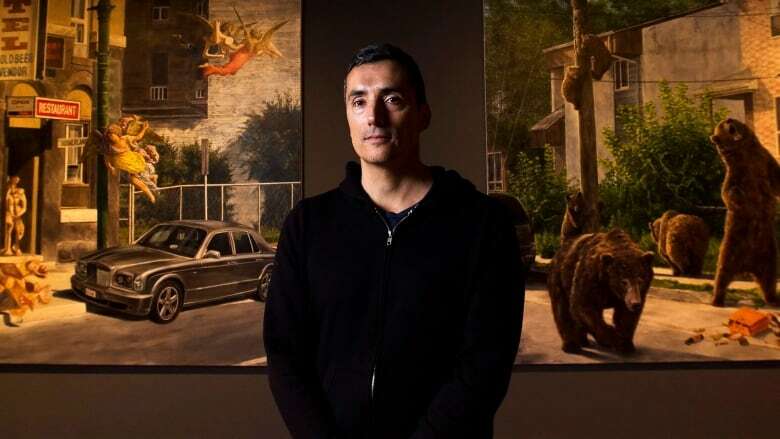 Cree artist Kent Monkman's new exhibit Shame and Prejudice: The Story of Resilience is a sobering look at the treatment of Indigenous people since Canada became a nation 150 years ago. The exhibit is opening at the Art Museum at the University of Toronto on Jan. 26, and once done there it will tour across Canada. "I'm calling it my Canada 150 … I wanted to present a perspective that reflected on the 150 years of Indigenous experience," said Monkman. "This is my celebration of the resilience of Indigenous people." The collection, which consists mainly of paintings and drawings, takes the audience on a journey through Canada's history, and as far back as 150 years before confederation. Monkman was approached by the gallery's executive director and chief curator, Barbara Fisher, to create the collection, with the only suggestion being that he draw inspiration from Canadian museum collections. "I spent a year crossing the country looking at different museum collections and archives and then stitched together this narrative," said Monkman. 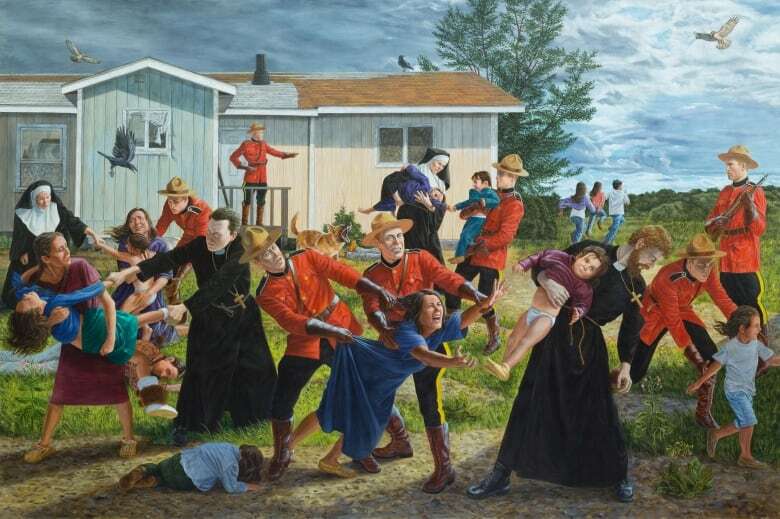 From studying the classics, Monkman created a collection of paintings dealing with historical and contemporary issues impacting Indigenous people, including residential schools, the reserve system, the murders of Indigenous women and girls and the incarceration of Indigenous people. 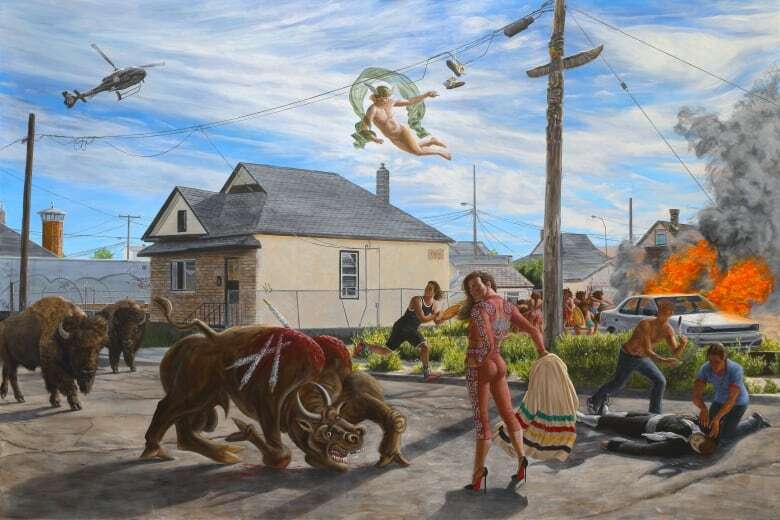 "I wanted to rely on painting because I feel in our art history there's very little that actually shows what happens to Indigenous people," said Monkman. "Especially over the last 150 years, it's been very subjective of the European settler." Miss Chief Eagle Testickle, Monkman's gender-bending alter ego, makes an appearance in the new exhibit. Monkman says the alter ego was created after noticing that painters Paul Kane and George Catlin — whose works often depicted Indigenous people — would sometimes feature themselves in their work. "[She's] a female spirit that counters the very male, patriarchal European colonized viewpoint," said Monkman. "I wanted people to understand that as much as the Europeans were looking at Indigenous people, Indigenous people have always been looking at Europeans as well." In addition to turning the gaze upon European settlers, Monkman says that Miss Chief celebrates gender variance, and she represents two-spirit sexuality that was present in North America long before the Europeans arrived. As the title of the exhibit suggests, Monkman took inspiration from Jane Austen's Pride and Prejudice, and Miss Chief plays the role of one of the Bennet sisters "trying to improve her lot in life." She serves as the narrator of the exhibit, with the didactics accompanying the exhibit's pieces written in her voice. Monkman also deliberately pronounces "Miss Chief" to sound like "mischief." But the inclusion of Miss Chief to the exhibit was a challenge for Monkman, who had to weigh her sense of humour with the heavy subjects examined in Shame and Prejudice. Monkman says there is still a lot of learning Canadians must do regarding their own country's history. But he remains hopeful that things like the Truth and Reconciliation Commission are slowly teaching Canadians about the darker chapters of this country's history. "Any Canadian, whether you're a new Canadian or your family has lived here for generations, has to come to terms with the real history of this nation," said Monkman. "Canadians are learning more about the darker history of this country that has been glossed over, that was never in our school curriculums." After its run at the Art Museum at the University of Toronto, the exhibit will travel to the Glenbow Museum in Calgary in June. The exhibit is slated to tour Canada until 2020, with stops in Kingston, Ont., Charlottetown, Halifax, Montreal, Winnipeg and Vancouver.